Dr Redmond is an owner operator and has practiced as a general dentist in Gander since 1995. He was raised in rural Nova Scotia and attended university at Dalhousie University for 8 years graduating from dental school in 1993. Dr. Keefe is an owner operator and has practiced as a general dentist in Gander and Glovertown since 2011. She was raised in rural Fernwood, Prince Edward Island and completed her Bachelor of Science Degree with honours at the University of Prince Edward Island in 2007, followed by her Doctor of Dental Surgery at Dalhousie University in 2011. 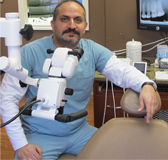 Dr Farzad Salehipour is an endodontist which means he specializes in root canal treatments. He travels from his home in Toronto and provides root canal services in our office 1-2 weeks per month. 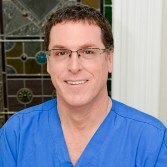 Dr. Louis Bourget is an Oral and Maxillofacial Surgeon which means he specializes in performing the full scope of OMS practice such as wisdom teeth, implants, biopsies, IV sedation, botox and full face reconstruction. He travels from his home in Halifax and provides oral surgery in our office every 2nd week of the month. To book an appointment please call 709-381-6637 or fax 709-381-6638.